In a preview of its 2012 films, Walt Disney Studios has released a new still for Pixar’s upcoming film, Brave. 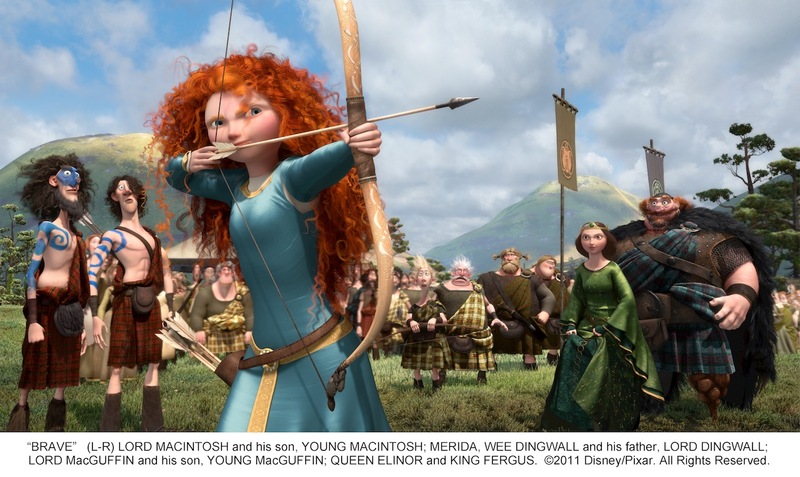 It features Princess Merida aiming an arrow towards a target, with her parents, the King and Queen, looking on. Did we mention that both Merida and the Queen have a fierce look in their eyes? The still comes our way from our friends at Stitch Kingdom. Check it out after the jump! Hopefully, Disney releases a hi-res version soon. UPDATE (1/17/12): I’ve updated with a hi-res image. The still seems to be from the first act of the film, when we are learning about Merida’s character traits. We already knew she could handle a bow and arrow pretty well from the great teaser trailer. However, we have much to learn about her mother and the rest of the family. Above image © 2011 Disney/Pixar. All Rights Reserved.